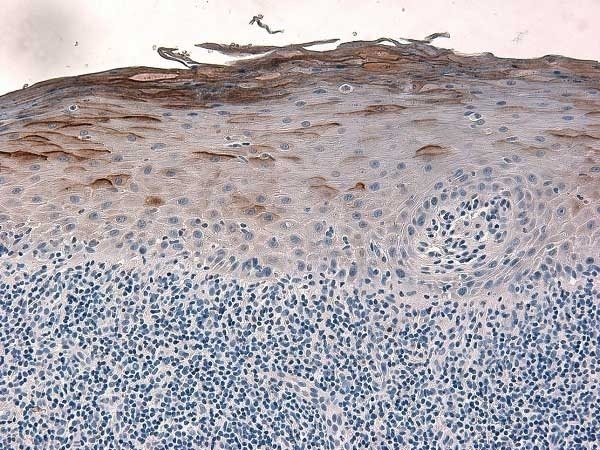 Goat anti Human Defensin beta 2 polyclonal antibody recognizes human Defensin beta-2 (BD-2), a ~4.3kDa cationic antimicrobial peptide, also known as Beta-defensin 4A or Skin-antimicrobial peptide 1 (SAP-1) expressed primarily by epithelial cells of the respiratory tract and skin, and an important component of the innate immune response against microbial infections. 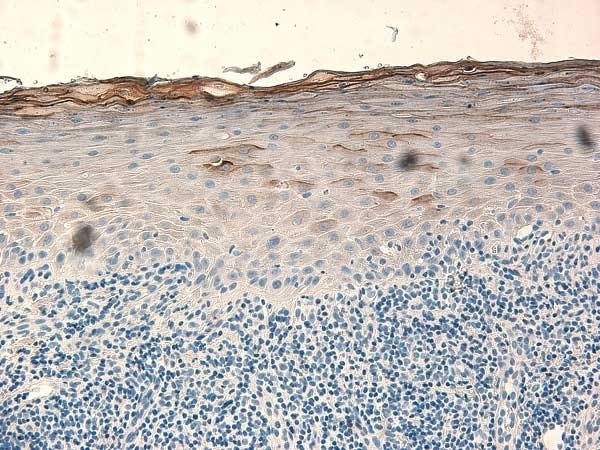 Expression of BD-2 is induced during inflammation in response to bacterial products and cytokines, and is initially expressed in a precursor form, which is cleaved to release the C-Terminal active portion of the protein which is secreted by the neutrophil and binds to bacterial membranes causing their disruption. Antisera to human Defensin beta 2 were raised by repeated immunisation of goats with highly purified antigen. Purified IgG was prepared by affinity chromatography. Recombinant human Defensin beta-2 (PHP161). This biotinylated human DB-2 antibody may be used in a direct ELISA or as the detection reagent in a sandwich ELISA with a purified human BD-2 antibody (AHP849) as the capture reagent and recombinant human BD-2 (PHP161) as the standard. 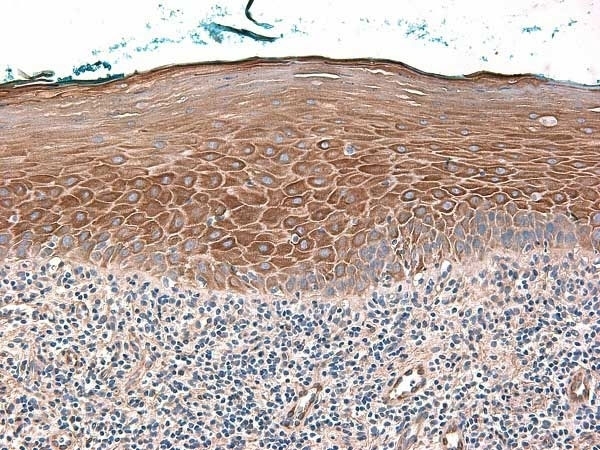 This biotinylated human BD-2 antibody may be used in Western Blotting applications under either reducing or non-reducing conditions with recombinant human BD-2 (PHP161) as the positive control. 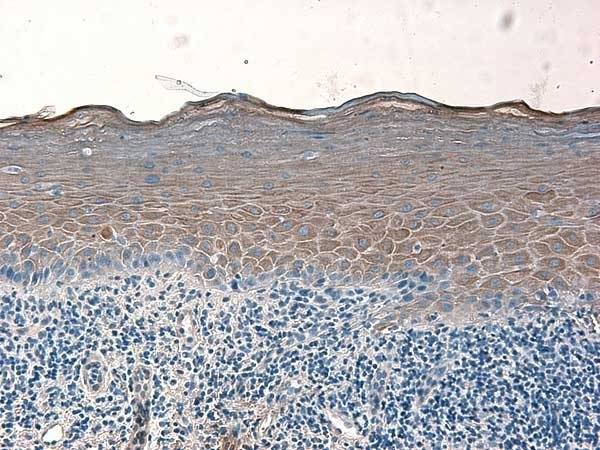 This purified human BD-2 antibody may be used in Western Blotting applications under either reducing or non-reducing conditions with recombinant human BD-2 (PHP161) as the positive control. Crack, L.R. et al. (2012) Human antimicrobial peptides LL-37 and human β-defensin-2 reduce viral replication in keratinocytes infected with varicella zoster virus. Clin Exp Dermatol. 37 (5): 534-43. Bals, R. et al. (1998) Human beta-defensin 2 is a salt-sensitive peptide antibiotic expressed in human lung. J Clin Invest. 102 (5): 874-80. Harder, J. et al. (2000) Mucoid Pseudomonas aeruginosa, TNF-alpha, and IL-1beta, but not IL-6, induce human beta-defensin-2 in respiratory epithelia. Am J Respir Cell Mol Biol. 22 (6): 714-21.